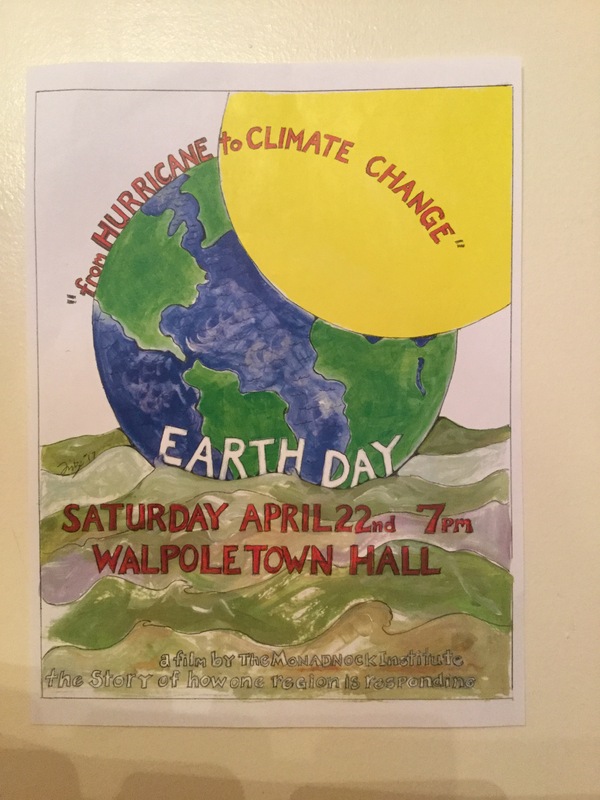 “From Hurricane to Climate Change” will be shown on April 22nd at 7:00 at the Walpole Town Hall. This showing will be free and all are welcome to attend. This film documents how the Monadnock region currently addresses our changing climate and its challenges. It highlights regional responses which will be helpful in the years to come. Experts, local residents, and Bill McKibben all weigh in on what we can do to best support the environment. Important from both an environmental and historical perspective, the film includes scenes from the Hurricane of 1938. That hurricane was the most dramatic meteorological event in recent memory in the region. In its aftermath, towns came together to rebuild streets and construct the McDowell Dam as well as other projects. Local citizens recently organized the Fall Mountain Alliance from concern for the need to protect our natural environment and resources. For more information please contact Diane Nichols at diane.nichols53@gmail.com.